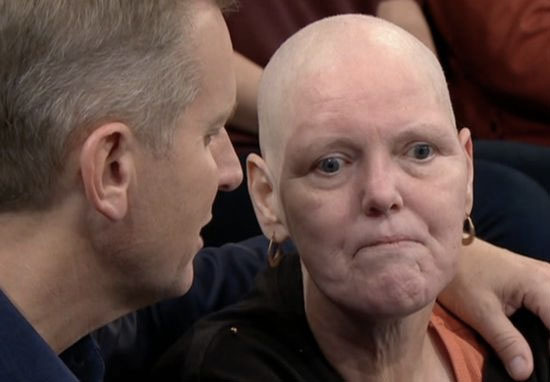 A terminally ill fan of The Jeremy Kyle Show has tragically passed away, just one week before an episode dedicated to her aired. Elizabeth Powell travelled up to the ITV studios with her daughter, believing she’d simply be sitting in the audience for the day. 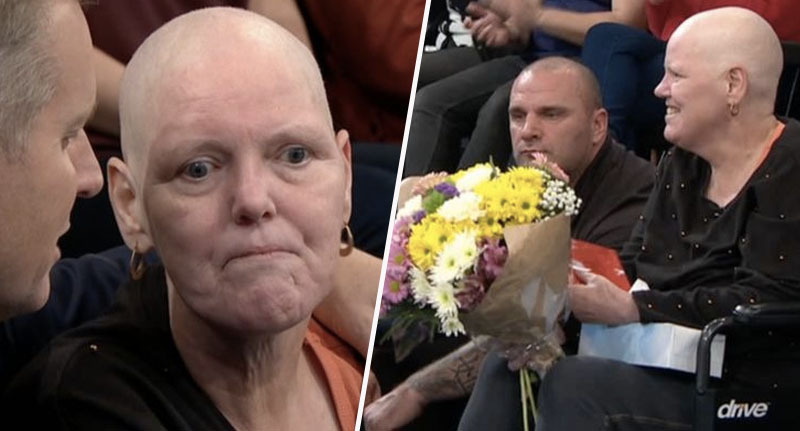 However, she was shocked when Jeremy collected her from the long queue of audience members, and brought her into the front row, telling her the episode would be ‘all about her’. The surprise didn’t stop there though, because Liz then received something even better from the team. As reported by the Mirror, Liz sat on the front row while a video played on stage, showing members of her family and close friends talking about Liz and what she meant to them. My darling wife, I hope you’ve had a fab time. Stay strong, don’t bring big Steve home with you, as I won’t like that. I love you loads, don’t you ever forget that. Liz, we all love you, what a woman. You’ve been such an inspiration, especially in the past few weeks. 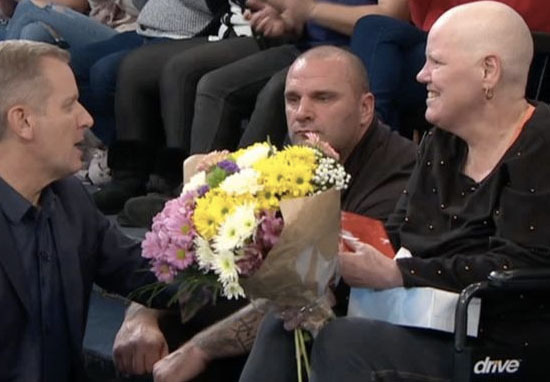 Members of the audience were visibly emotional as the team then gave Liz a number of gifts; while Jeremy handed her a present, Big Steve gave her a bunch of flowers. This story got me, it’s horrible. But it’s been a real honour and a pleasure to meet you. And in here is money, so you can get all those people together for a big family meal. Sadly though, Liz passed away on January 9, less than a week before her show aired. Those who watched the show were upset when a post-script revealed the tragic news, and took to social media immediately after watching. Such sad news to hear about Elizabeth after the show, our hearts go out to Jenna and the family in this difficult time. We were grateful to have had the privilege to have spent some time with them. A number of viewers immediately responded, stating how devastated they felt when they saw the announcement of Elizabeth’s death appear on screen. RIP my darling thoughts are with you & your family Thank You Jeremy Kyle You have done so much for so many people & I don’t think you are getting enough recognition for what you do . The news of Elizabeth’s death comes after it was announced another guest, who appeared on yesterday’s show (January 15), died just three months after his episode was filmed, which saw him reunited with his daughter. Our thoughts are with Elizabeth’s family and friends at this difficult time.